Some people read British car magazines for their outstanding gloss photo spreads, their access to forbidden-fruit hot hatchbacks, and their breathless reviews of the Jaguar X-Type. The proper reason is, of course, for the names. Jethro Bovingdon. Harry Metcalfe. Ollie Marriage. Dickie Meaden. David Lillywhite. They're all absolutely fantastic. The question is - which one has the most absurdly British name? 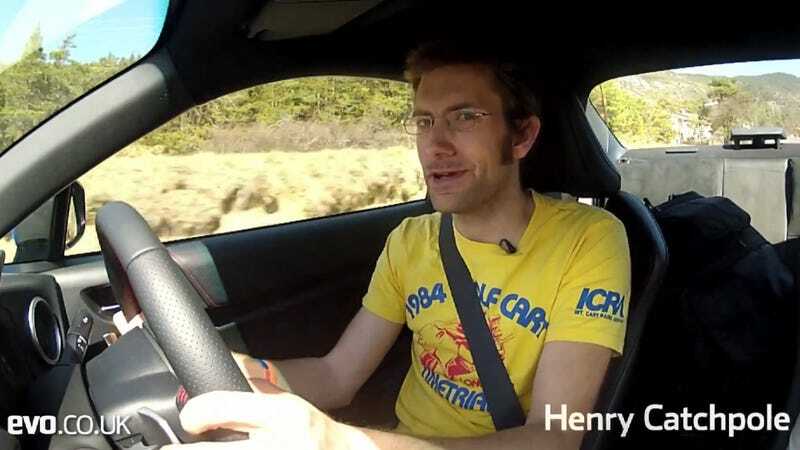 My personal vote goes to EVO's fellow sideburn enthusiast Henry Catchpole, which sounds like the kind of name you'd hear at a Isambard Kingdom Brunel Appreciation Society convention.